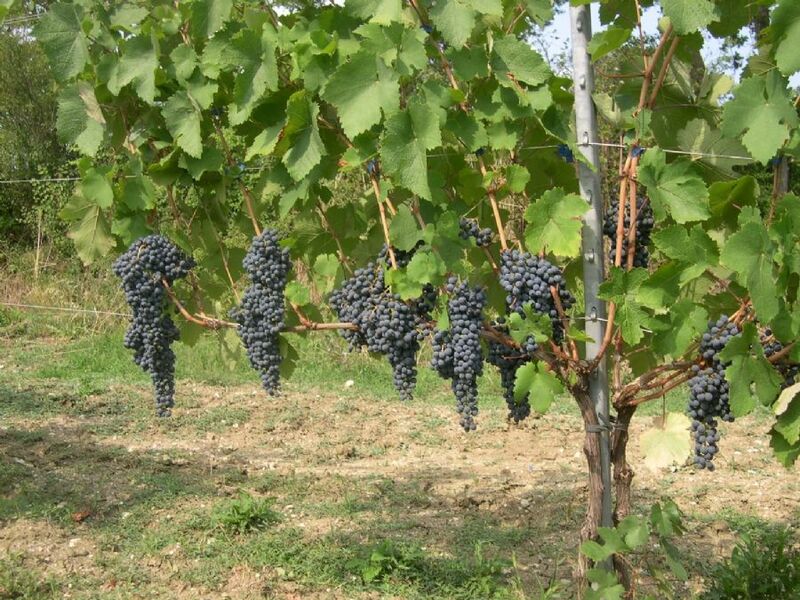 The viticulture of the Colli Piacentini wine region is certainly identified in the Barbera and Croatina vines which find a good complementarity in the "Gutturnio" DOC wine. However, Croatina's productivity is often alternating, unsatisfactory and not very profitable. The reasons for a lower yield for Croatina reside mainly in the low fertility of the basal buds which makes it forcibly linked to long pruning systems whose management is certainly more expensive. The varietal innovation through the vine varieties which could combine constant production, high susceptibility to mechanization and the conformity to oenological and sensorial requirements similar to the Croatina vine seems to be a realistic solution to this problem. The work intends to: a) incourage the innovation and competitiveness of the red wine sector through the enhancement of the Ervi grape (intraspecific cross between Barbera and Croatina) and b) evaluate its adaptability to highly competitive viticulture models, also thanks to greater use of mechanization. Starting from 2017, a demonstration test has been set up to compare Ervi and hits parental varieties under the two different tvine training systems: the simple Guyot (tested on the three varieties) and the spurred cordon (tested only on Ervi and Barbera). During the vegetative season the main vegetative and productive variables (bud fertility, grape production, number of bunches and pruning weight) were described while the grape composition was monitored weekly between the veraison and the harvest. Preliminary results confirm the superiority of Ervi compared to Croatina in particular regarding the production constancy and, more generally, the quantity of grapes produced per single vine (in 2016 3.9 vs 1.6 kg, respectively). These differences are mainly attributable to a higher shoot fertility equal to 1.4 in Ervi and 0.9 in Croatina and, consequently, to a higher number of clusters (16 vs 11, respectively). Considering the fertility of the two basal buds, Ervi and Barbera showed a slight decrease compared to the average value per plant, settling on values equal to 1 and 1.4, respectively. On the contrary, Croatina demonstrated a significant decrease of 63%. Aware of the need for further investigations in the long term, the preliminary results confirm the good predisposition of Ervi towards modern and innovative viticulture systems also based on short pruning that can be more easily managed by mechanized operations. 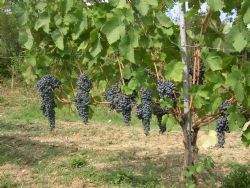 Despite the greater yield, the composition of Ervi grapes is mostly comparable to that of Croatina, reaching, however, a greater concentration of total anthocyanins at harvest.